Product: Peterson Shannon Briars 150 Tobacco Pipe Fishtail Brand: Peterson Country: Ireland Bowl Material: Briar Finish: Smooth Stem Material: Vulcanite Shape: 150 Package: Box Filter: None Length: 5.64 in. / 143.34 mm. Height: 1.83 in. / 46.37 mm. Bowl Outside Diameter: 1.66 in. / 42.04 mm. Bowl Inside Diameter: 0.79 in. / 20.14 mm. Bowl Depth: 1.40 in. / 35.54 mm. Weight: 1.7 oz. 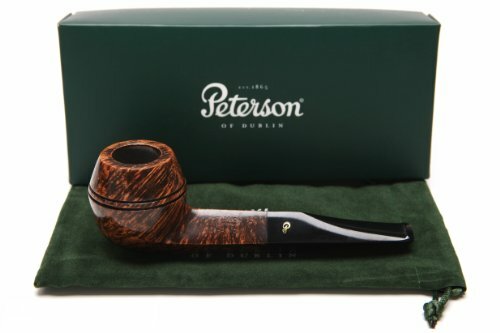 / 45 g. Learn about the Peterson Dry System Low Price Guarantee! No Sales Tax! *outside of State of Florida *Pipe measurements are approximate **Pipe pictures are not of actual pipe you may receive.